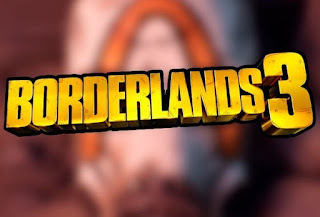 Last week Gearbox finally unveiled Borderlands 3. Although we got a trailer for the game, more info for the popular looter-shooter is said to come on April 3 and It looks like the cat might be out of the bad regarding the games release date. A tweet seemingly released far earlier than it should have been says the game is releasing in less than six months. In addition, the leaked trailer seems to confirm that Borderlands 3 on PC will be exclusive to the Epic Games Store. The official Borderlands account made the tweet today, which you can find on web archive, stating that "Mayhem is Coming September 13." It's then followed by a call to pre-order for the gold weapons pack and a small clip from last week's reveal trailer. In the corner of the trailer clip, it showed the logos for Gearbox Software, Take-Two Interactive, and Epic Games Store. A September release date makes since other games in the series have released around the same time. Borderlands 3 would be a big get for the Epic Store and would reinforce the statement of platform not mattering and gamers going to Epic for the games. Guess we’ll find out more info on April 3. Thoughts ?